Turmeric's anti-inflammatory properties have been lauded by health specialists for decades and it's been on the trendy food list for a few years now. A member of the ginger family, the yellow spice is high in antioxidants. Used as a staple spice and medicinal herb in India for centuries, its benefits include mood balancing and boosting your body's ability to heal, as well as stabilising blood sugar, preventing ulcers, and optimising good and bad cholesterol. Thankfully, you can easily introduce this superfood into your diet (even if you are not ready to drop that morning coffee for an Instagram-friendly golden milk!). Let’s start with the more obvious. Turmeric is the spice that gives the deep yellow colour to Indian curries. Add a teaspoon of turmeric to some fresh ginger, garlic, onion, mustard seeds, and cumin and you have a nice spice base to make the most delicious fish, meat, or vegetarian curries. Don’t be scared, you morning brekkie won’t end up tasting like the curry you had for dinner. 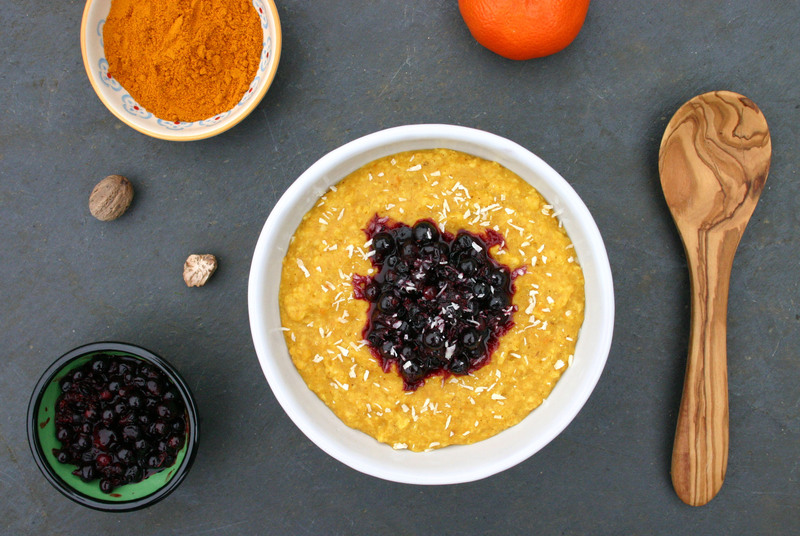 Add ½ a teaspoon of turmeric to 3 heaped tablespoons of oats, 1 tsp of cinnamon, 1 tablespoon of chia seeds, a few raisins and a cup of almond milk for the most delicious and healthiest porridge ever. Top with a dollop of almond butter and you are in heaven. 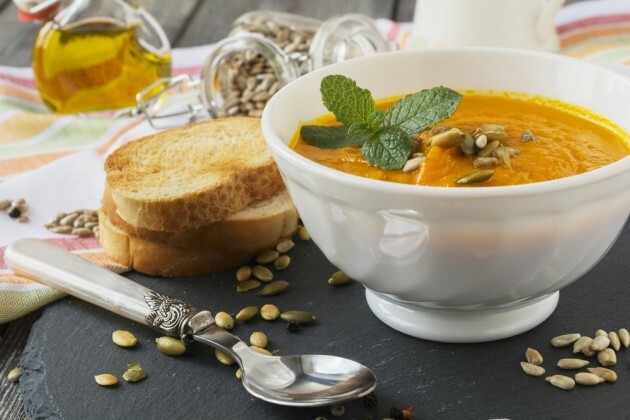 Turmeric goes particularly well with pumpkin, butternut squash, carrot, potato, and/or courgette soups, giving them an extra depth of flavour. Add ½ a teaspoon of turmeric into your morning smoothie or juice to get a healthy dose of antioxidant. Our favourite recipe? 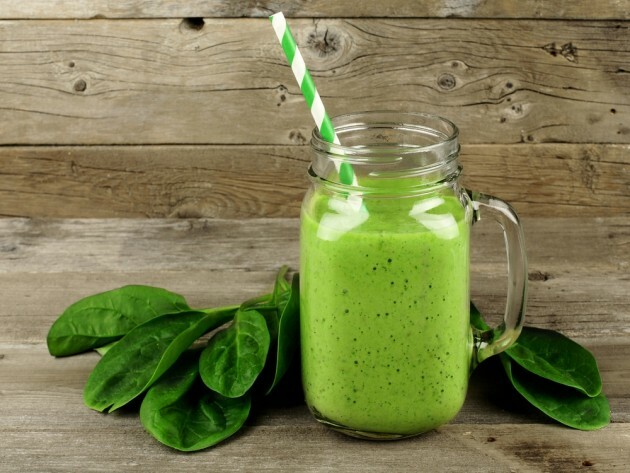 1 banana, ½ a pineapple, a big handful of spinach, a cup of almond milk and a few ice cubes. Add some cayenne pepper, turmeric and cinnamon to boost your metabolism and please your taste buds. 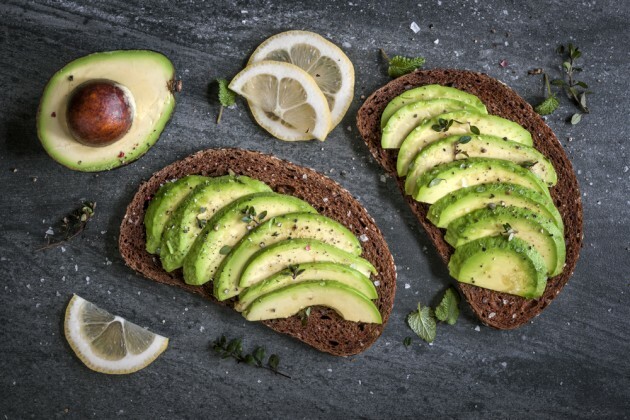 Unless you have been hiding in a cave since 2014, you are now well aware of the benefits of avocado. 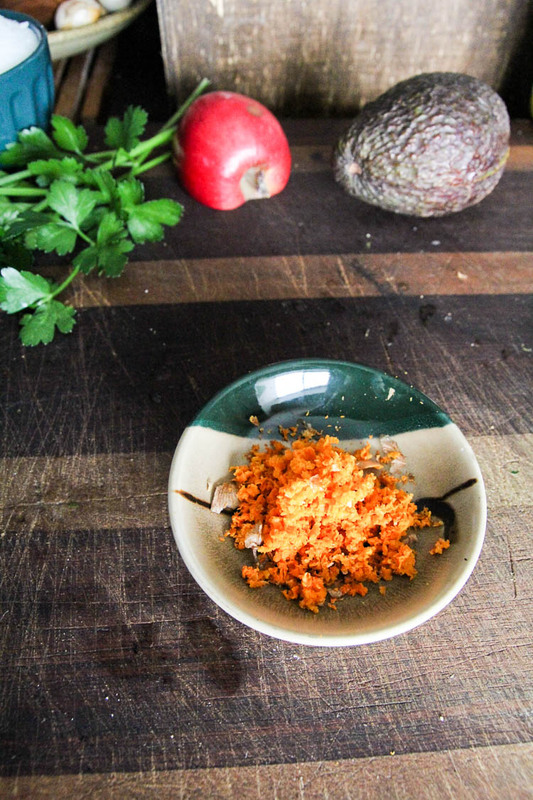 But maybe you didn’t know that combining turmeric with healthy fats – i.e. avocado or olive oil – improves the bioavailability of curcumin, the active ingredient in the yellow spice. Add some turmeric to your veggie seasoning – salt, pepper, paprika, olive or coconut oil, oregano, mixed herbs, cayenne pepper… – for a nice eastern twist on the Sunday roast. Make hummus even healthier by adding a pinch of turmeric to a can of chickpea, one tablespoon of tahini, a garlic clove, the juice of one lemon, a pinch of cumin, olive oil, salt and pepper. Properly addictive. Plus a bonus No.8… a cake! The perfect answer to anyone who dares telling you that cake isn’t good for you. 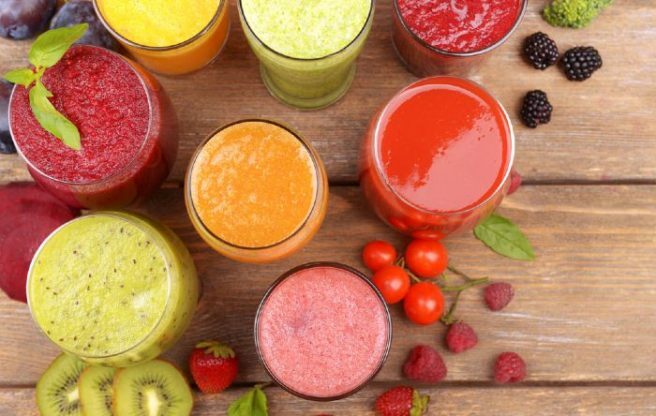 When you think of detoxing, a gruelling, chastising juice cleanse or quitting coffee probably springs to mind. After a year of embracing the warm, cosy and slightly cluttered hygge trend, the next lifestyle movement is detox. The detox lifestyle is a nod to minimalism, with stripped back, reclaimed wooden floors, glass accents and mostly clear shelves. It doesn't mean getting rid of items necessarily, but managing your possessions in the most efficient way possible and maybe purging those you don't need (hoarders, look away). A detoxed living space creates a more organised environment in which things aren't lost to a landscape of clutter, including your thoughts. Everything has it's place and its purpose. However, this doesn't mean shoving everything into a barely closing closet or drawer to create a minimalist aesthetic. 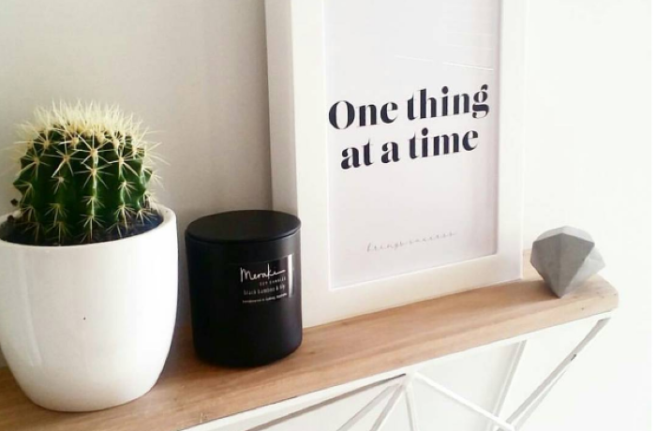 The beauty of detoxing comes from the peace of mind acquired by organisation, and clearing and harmonising every hidden aspect of your home is essential. This means cleaning out your closets and drawers and creating negative space under beds and on top of wardrobes. The lifestyle also takes an ethical approach to consumerism, and has its roots in the zero-waste movement. A detoxed home should incorporate reclaimed raw materials wherever possible, and buying from chain stores with high pollution outputs should be avoided. If you're renting, simply opting for eco-friendly interiors made from recycled materials and switching to sustainable energy sources wherever possible can make a big difference. The detoxed space can seem a little bare, so adding throws, candles and an abundance of green plants can create warmth and homeliness. While hygge was perfect for 2016, a fresh take on minimalism is ideal for the new year. Feeling a little sluggish after Christmas? 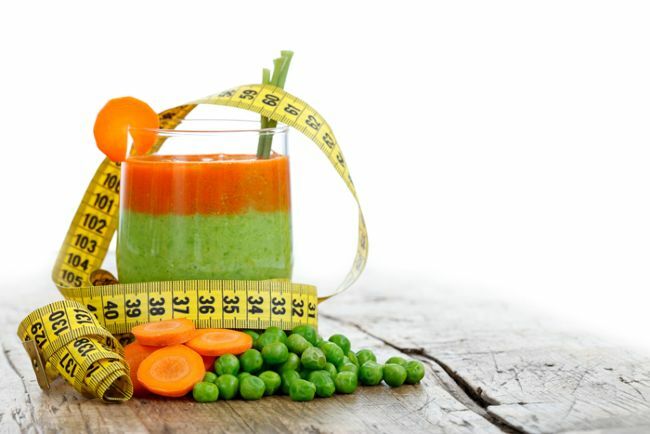 Too many late nights, excess food and wine, added weight from the over indulgence – time for a detox? Perhaps it’s time to help our bodies rid itself of added toxins and impurities… don’t know where to start? If you’re feeling daunted there have been plenty of healthy eating books launched this year to aid you in your detoxification. 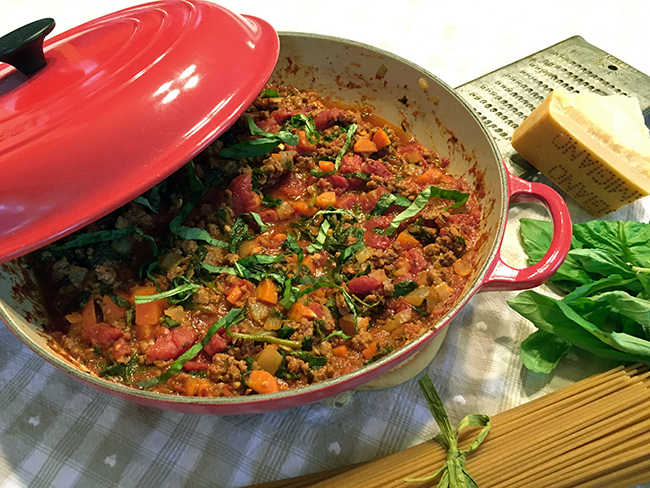 Eat Yourself Fit by Rosanna Davidson and The Plan written by Aoife Hearne, the dietician from RTÉ’s Operation Transformation are two of the top picks of 2016. If you really want to get all serious about it, you could visit a nutritionist or dietitian for expert advice. Most of us can’t function before our morning coffee, but caffeine can dehydrate the body, so try switching your caffeine infused beverage for a fruit tea for a few days – you will notice the difference! Fruit Teas are an easy way to aid your detox goal as they are full of antioxidants and naturally caffeine free. With gorgeous flavours to choose from such as lemon, berry infusions and mint teas, there is something for everyone. You can use honey to sweeten up or add lemon for added flavor. There are also specific detox teas available such as Miss Fit Skinny Teas which unlike other brands available are laxative free. The tea is full of all natural ingredients and comes recommended as a 14 or 28 day detox. Drinking more water will keep you hydrated and flush out all of the nasty toxins accumulated over the festive season. You could also try adding slices of cucumber, lemon, mint or ginger to your water. 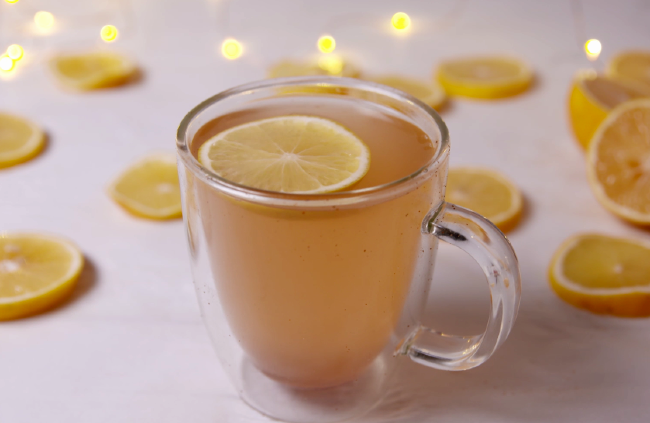 Starting your day with a cup of hot lemon water will kick-start your digestive system. Everyone feels a little sluggish after the daily feasting over Christmas. By limiting your intake of processed foods you will give your digestive system a well-deserved rest. Instead try to eat more fruit and vegetables, for guidance you can check out the new food pyramid here. We like the sound of that! And if the thought of spending time in the gym makes you nauseous, try getting out for a walk on your lunch break. Yoga and Pilates are also considered gentle forms of exercise, and are great ways to relax your body. Getting your body moving is not only good for your heart, it also releases feel good hormones called endorphins which has a positive effect on the body. Endorphins can also relieve pain, which can only be a good thing. 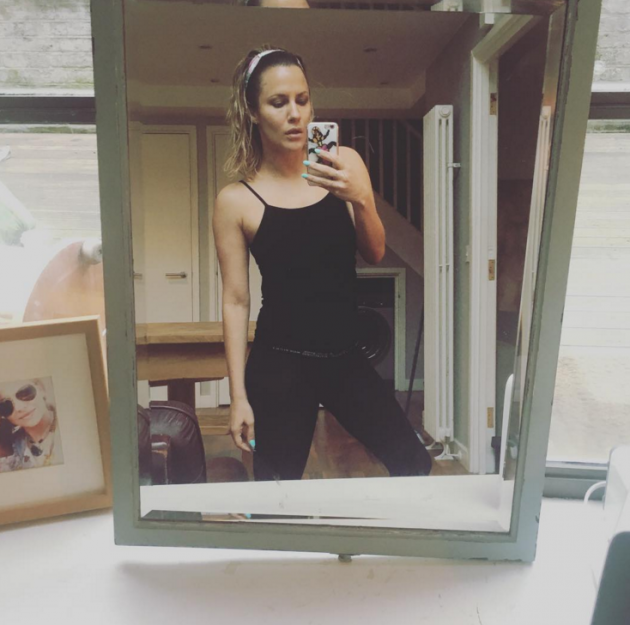 Caroline Flack is looking super hot at the moment, and it's all down to only banning one thing from her diet; sugar. The presenter has been on a major health kick in recent weeks and admitted on Instagram she's feeling "the best I've felt" in a while. The 36-year-old explained on a selfie post that she's on a sugar detox and still has a few weeks until it's all over. "HOT YOGA VIBES," she captioned the snap. "Week 4 no sugar detox. Feel the best I've felt since well… Birth… 7 weeks to go." Caroline often shares her health and fitness goals on social media and is never shy about hitting out at haters. We can't wait to see the outcome after seven weeks. If you're cutting out sugar to start your (dreaded) January detox, or simply just want a healthier new you, then this app could have the answer to all of your problems. 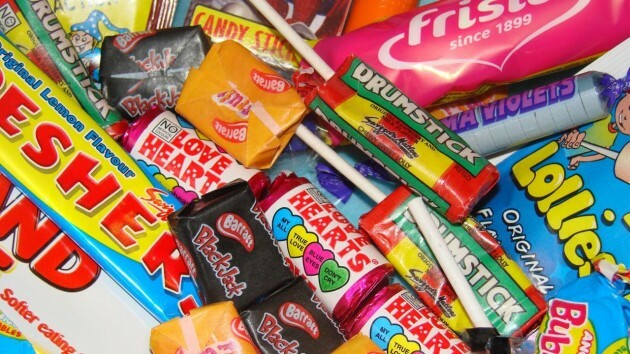 We'll admit we all have a sweet tooth here at SHEmazing HQ, but everything is good in moderation, right?! That attitude is all well and good – if you can manage to figure out what a "moderate" amount of sugar actually is. 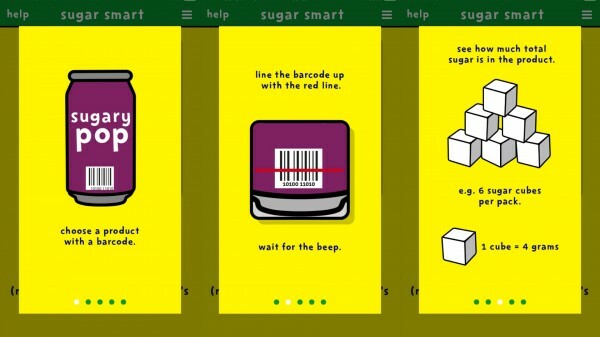 A new app called Change4Life Sugar Smart can help you to see how much sugar you're really consuming every time you eat. The app works by scanning a barcode of a product, which then shows you how many grams or cubes of sugar are in each product. It even gives you a little breakdown to make things a bit clearer, like one cube of sugar is the equivalent to 4 grams of the sweet stuff. We reckon you'll soon be put off reaching for that extra biscuit/glass of wine/leftover Christmas chocolate once you realise exactly how much sugar you're taking in. If you’ve noticed you’re feeling sluggish and worn out after the busy festive period, your skin has probably suffered too. Over-indulging, stress and lack of sleep can all wreak havoc with your skin’s natural glow. Looking after your skin properly is key if it’s been through the wringer over the last few weeks. Make a simple routine and stick to it – a daily cleansing, toning, exfoliation and moisturising process is faster and more convenient than you’d think. You’ll soon notice your skin is brighter and clearer! 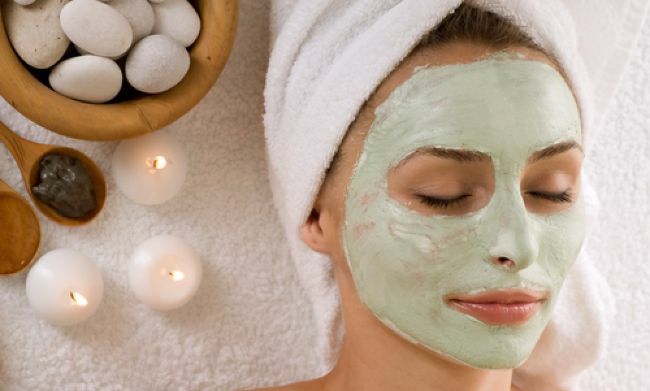 While caking on a ton of make-up might seem like the best solution when your skin is dull and breaking out, you need to give it room to breathe too. If you don’t have plans for the evening, why not take your make-up off as soon as you get home from work rather than waiting for bedtime? Whenever you can, go make-up free. 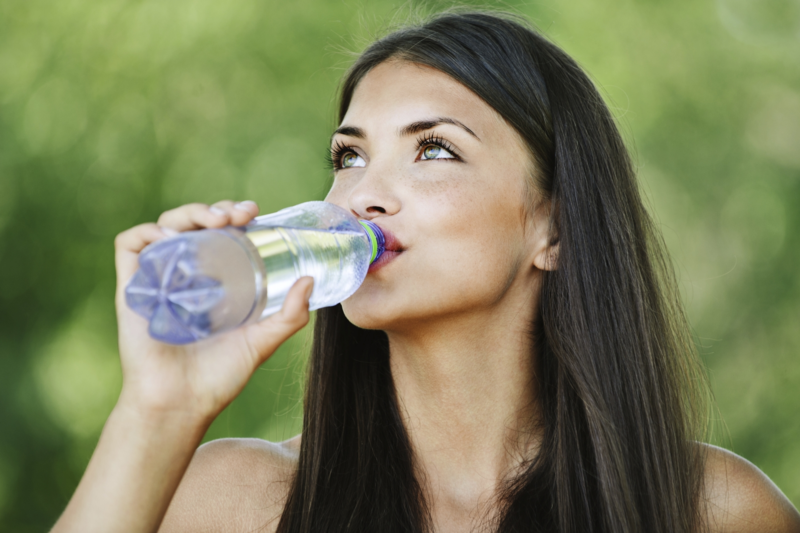 Drinking enough water is key to maintaining a healthy glow. Try to fit in around two litres a day – once you start the habit of drinking water regularly, you’ll find it gets easier and easier. Nothing distresses your skin more than a lack of sleep. Eight hours is considered the norm but you may need less or more – whatever it takes for you to wake up feeling refreshed. 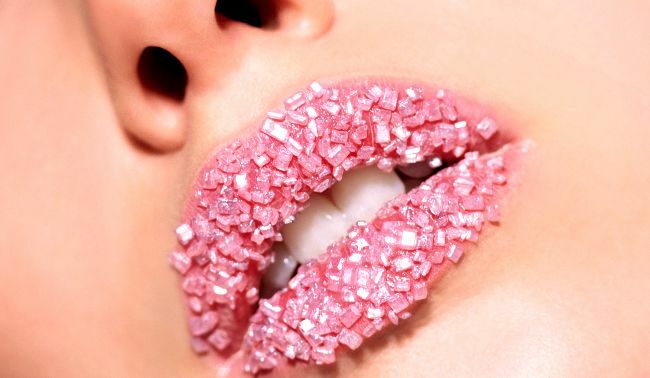 Processed, high-sugar foods only serve to cause inflammation and break-outs. Cut down on refined and added sugar where you can by only eating fresh, unprocessed food. After the indulgence of Christmas, your body (and your bank balance) are no doubt worn out. If you're feeling sluggish, low in energy or just feel your metabolism needs a kickstart, why not try a short-term detox in the New Year? Rather than going on a crazily restrictive fad diet, a clean-eating detox simply involves eating more of certain foods and less of others. It may be hard to beat certain cravings, but keep in mind that this is only for a week. Here are our guidelines on how to get started, what to eat and what to cut out. If you have any health concerns regarding diet changes, please do consult your GP or a diet professional. 1. Keep things simple: Don't leave yourself in danger of getting overwhelmed with ingredients lists and buying a cheeky oven pizza at the last minute. Each meal should include a portion of whole grains, lean protein and healthy fats – keep that in mind and you'll be good to go. 2. Check your calendar: If you have an event or party to attend, it might be worth re-scheduling your detox week. 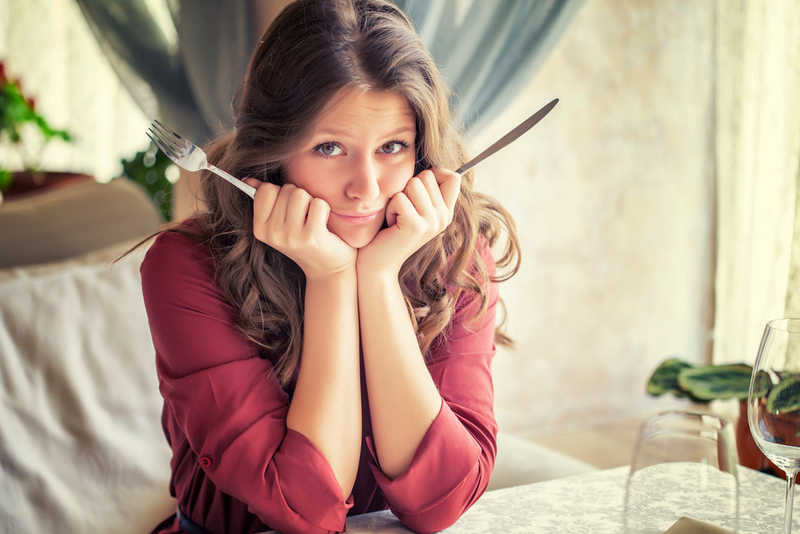 While in theory it might seem like no problem for you to avoid the buffet or only eat a light salad while out with friends, when faced with the temptation it's a lot harder to resist. Choose a quiet week with no big indulgent events. 3. Avoid snacking: Plan three meals each day that you'll really look forward to eating, and steer away from mindless snacking in between. If you know you're a stress-eater, keep some healthy snacks to hand like raw almonds or cut veggies. 4. Don't panic: Nobody is made of stone and we all get cravings from time to time. Don't punish yourself for falling off the wagon – it's no big deal. If you do find yourself at the end of a family size bag of crisps, just dust those crumbs off, readjust your meal plan for the day and move on. 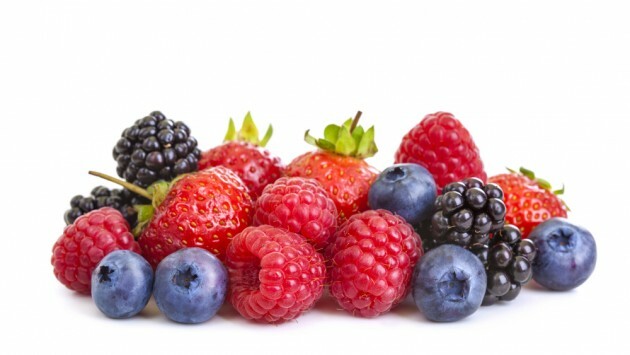 Fruit and vegetables: Go for non processed, non-sweetened produce. 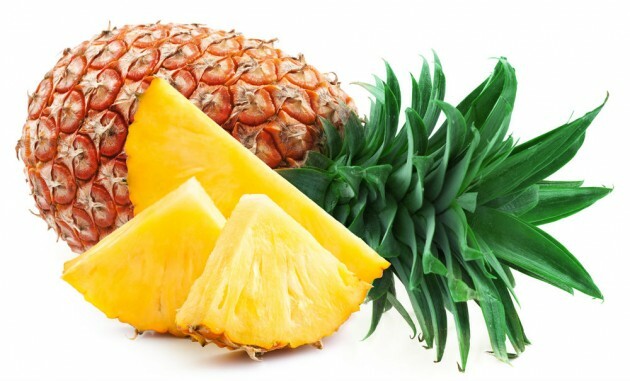 Eat your fruit fresh or blended into smoothies, and eat veg raw, steamed, sauteed lightly, juiced or roasted. Oils and condiments like olive oil, coconut oil, flax oil, canola oil, vinegar, herbs and spices. Fattier sources of protein like pork, beef, shellfish and soy products such as tofu. After a big meal, it's easy to feel bloated, sluggish and just plain meh. And while having a big dinner is something you're not going to say no to, there is a simple drink to help you fight the bloat everytime. Delish's detox lemonade is a mixture of freshly squeezed lemon juice, ground ginger, ground cloves, cayenne, and honey. 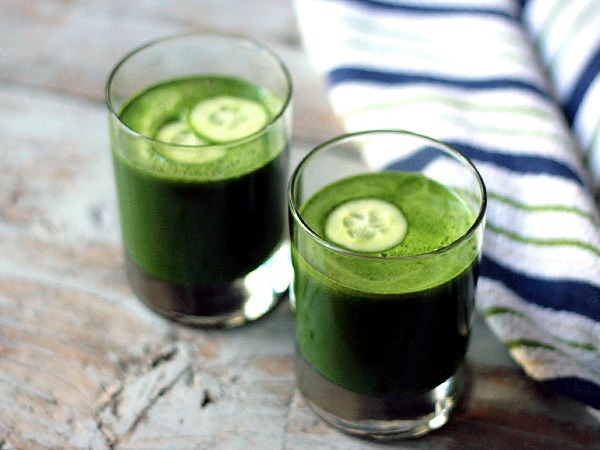 This super soothing drink will help settle your stomach, warm you up, and make you feel FAB. 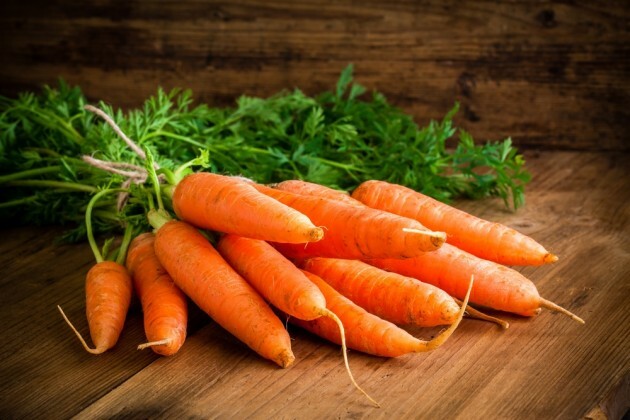 Detox remedies such as vegetable juices, pills and cutting out certain foods might make us feel less guilty about overindulging but there is actually no scientific evidence to back up their "facts". Detoxes are based on the idea that stored toxic substances can be removed by eating or avoiding certain foods. This is totally wrong. No fad diet can emilinate harmful invaders faster than your built-in clean up crew (the liver, kidneys and colon)! 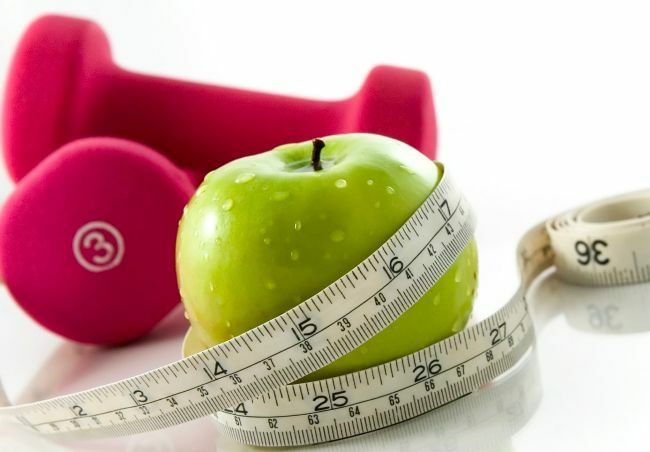 Many doctors and scientists suggest the best cleansing strategy is a proper diet and regular exercise. H2O hydrates the liver and kidneys and encourages toxins to leave the body via urination. However, drinking water excessively in the name of detox can be really dangerous. Symptoms of water intoxication include headache, fatigue, vomiting and mental disorientation. You should only drink around eight regular glasses of water a day. It's true that small amounts of toxins can leave the body via perspiration, but keep it in mind that heavy sweating can impair the body's natural detox system, makng it less efficient. You'll do more detoxing in the bathroom than the sauna it seems! You should probably pay attention to his one because this is the kind of advice that people pay hundreds of euro to hear. 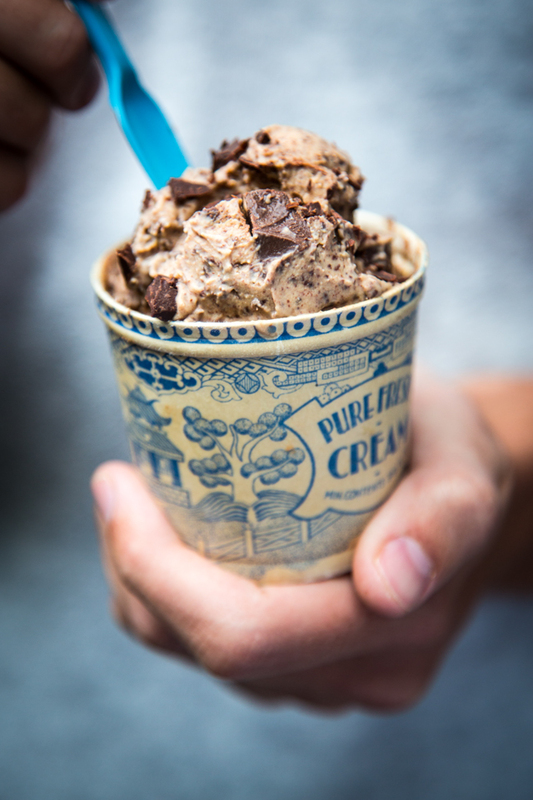 Over the course of the weekend, the summer, your holidays of just a Wednesday we can easily fall off of our healthy eating bandwagons and raid the biscuit tins. Our efforts to make up for these little slip ups can apparently not be any good for us at all. 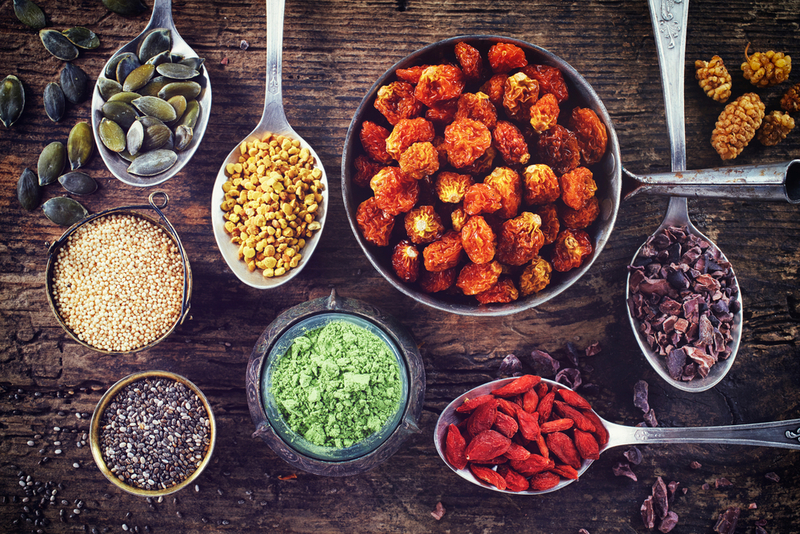 So, instead of putting yourself on a no-carb, no-sugar, no-fun emergency detox, have a look at what holistic nutritionist Eve Kessner does when she decides a detox is on the cards. "Drink lots of water," Evesays. Besides balancing out the dehydrating effects of any imbibing you did over the weekend, Kessner credits water with helping the body "flush out any toxins it's holding on to." 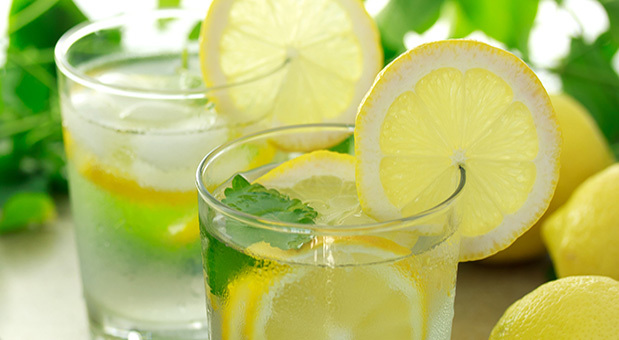 Start the morning with hot water with a lemon, which among other things has been shown to aid in weight loss. "This one is tough [when you have a busy schedule], but super important for your body's recovery," explains the SoulCycle instructor. Skipping sleep can lead to stress, weight gain, and an overall decline in good health. She suggests a fast-paced cardio session since it will boost the body's metabolism, so you can definitely burn off some of those weekend indulgences. If you went completely overboard on Sunday and the thought of a high-intensity workout makes you feel a tad unsettled, try a walk in the fresh air instead.